← My parrot is a ventriloquist! It’s been cold! 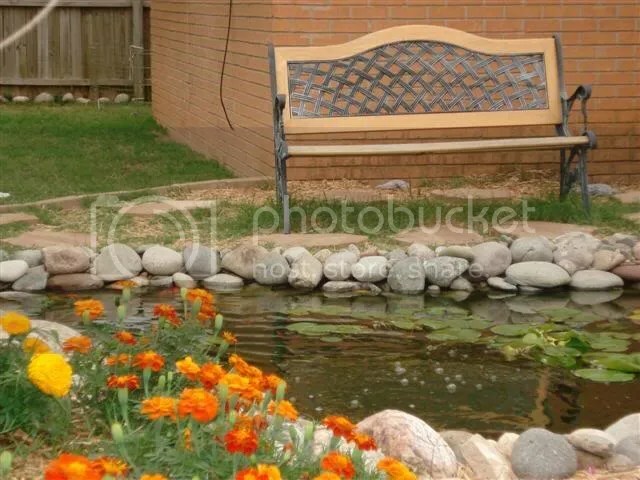 I miss going outside and sitting by the pond and watching the fish. 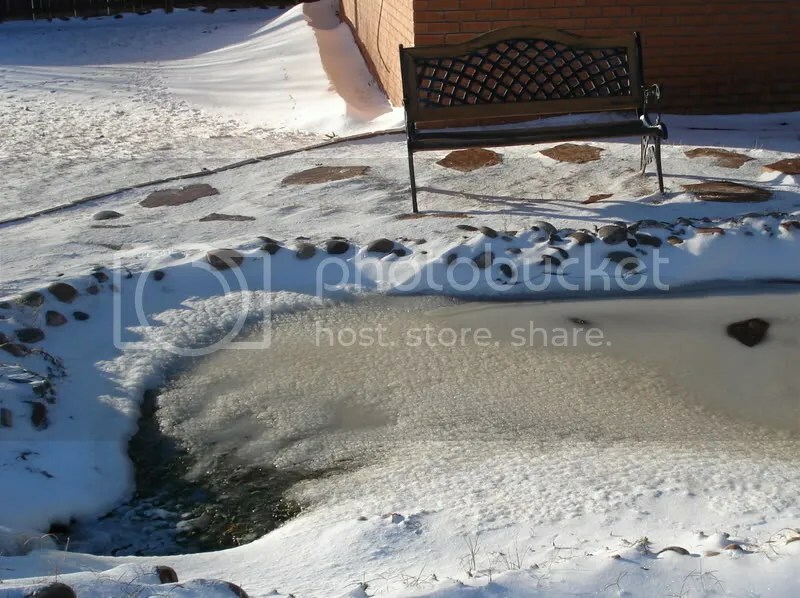 The pond has been frozen over a lot this winter. The fish are fine as God designed them to be able to survive winter, but, I miss being able to watch them. I also like to watch birds. Wild birds love coming to our pond for a drink and a bath. The birds still come and take a bath in the partly frozen waterfall. But now, I just get to watch them out the window. I’m "stuck" here all day because I work at home. I miss taking my coffee breaks outside. Brr! I am so ready for Spring!